LEE H.S. boy's soccer ranks No. 12 in the nation after a 20-2-1 regular season. SAN ANTONIO — It is playoff time on the pitch and LEE High School is ready to go. "It's not just about the winning, but when you have this special of a group, the expectations have to be higher," fifth-year head coach David Rogers said. The Volunteers boast a beautiful 20-2-1 record, outscoring its opponents by a ridiculous 81-19 scoring margin. It is why they are drawing a lot of eyeballs these days. "There are a lot of great schools out there, and to be ranked No. 12 in the nation is honestly a huge, huge accomplishment for us," junior Francisco Segura said. It is even more impressive when you look at who is on the field. This is a young team returning almost everyone from a regional final appearance in 2018. "We've got about four seniors starting and the rest are juniors and underclassmen, so we put a lot of trust into the youth," Air Force signee Theo Gunter said. LEE head coach David Rogers has been to the state tournament twice. Once as an assistant and once as a head coach with Boerne-Champion. The Chargers won that tournament in 2011. Rogers, who coached Boerne-Champion to a state championship in 2011, said, "I think we surprised everybody last year. We're no longer surprising anybody and everybody is gunning for us, but we've now had a taste of that and we want a bit more." Making a state appearance for the first time in almost two decades is not enough for this team. They want a shot at school history in Georgetown. 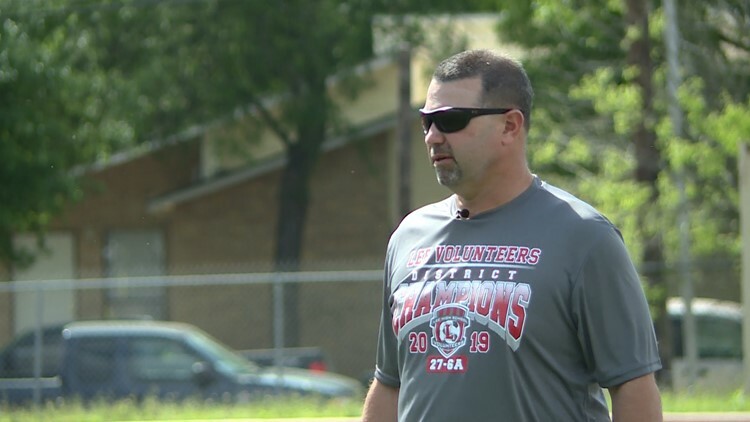 "That's the goal since the beginning of the year--to get that state championship, and if we do anything less than that it, could be seen as a disappointment," senior Gunter said. Rogers said, "I want the bar to be set high. I want the pressure. I want the pressure to be on them because I think they can handle it." Segura, nicknamed Paco, said, "We have the hard work. We have the passion to win state and I think we can do it." LEE begins playoff action against O'Connor on Thursday.